Google Chrome, a browser known for it's speed and superior security is never stopping to evolve. 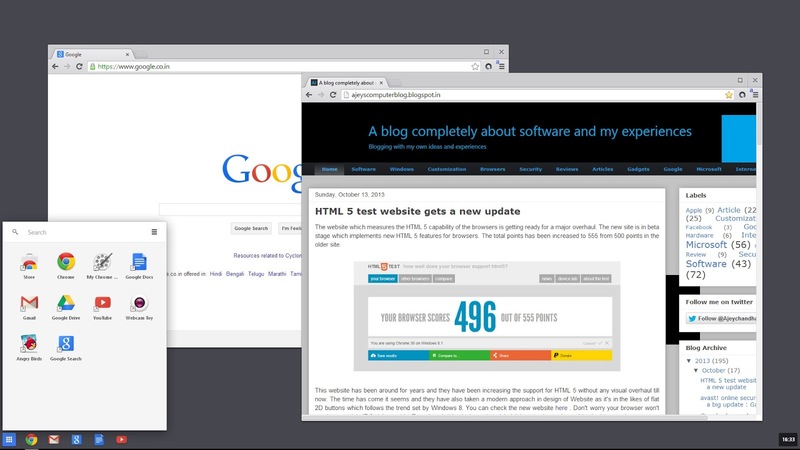 The latest developer version features "aura" engine which powers the UI of chrome. Microsoft may end antivirus support for Windows XP ! Windows XP is fast expiring and Microsoft has said that they would not care much to release virus definitions for MSE under Windows XP. Microsoft security essentials is one of the most popular antivirus which has a large database of XP users. Windows XP has a large market share and it is going to go out of support on April 8 2014 but there is no change in the market share of this particular OS. Microsoft is always trying hard to move users to Windows 8 or Windows 7. Microsoft has already stopped releasing newer versions of their products to XP such as Office 2013, Internet explorer. They are just providing security patches to the OS. But when it comes third party software developers like Google,mozilla,Opera,antivirus vendors and more. They are still supporting this OS and creating new software for all the OS. IObit launched Advanced SystemCare 7 and they are celebrating it with facebook fans by giving away a pro license and Protected license for free. Both the licenses are valid for 182 days from today. So grab it as soon as possible and activate it now . One of the best PC optimization software, IObit Advanced SytemCare has been updated to version 7 after a long beta testing campaign. 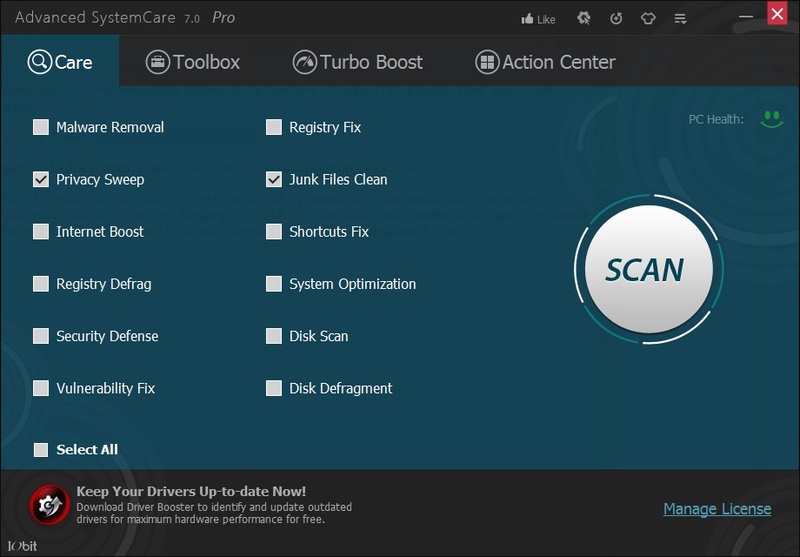 Advanced SystemCare by it's name itself states that it is a PC optimization tool. This tool has been around for years and is available in both free and paid versions. V 7 brings in a lot of improvements in both front and back ends of this software. 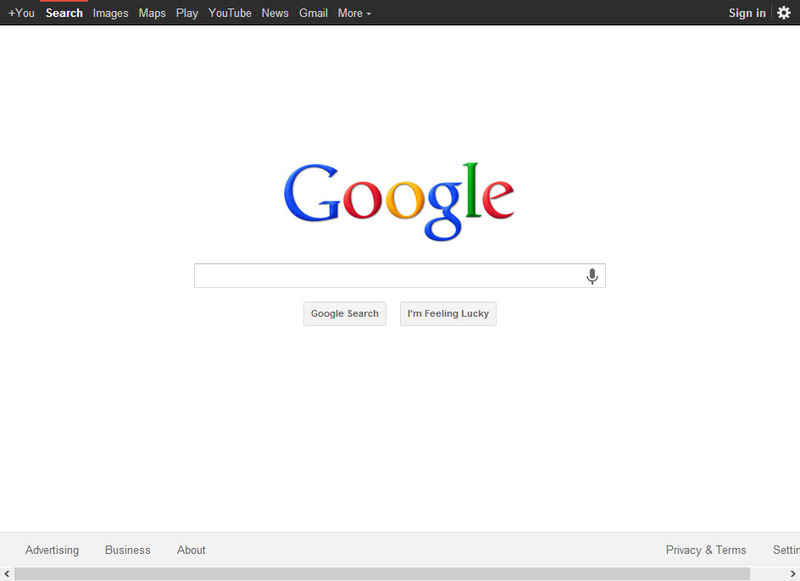 The UI has got some cool changes .It has got a new metro theme which mimics the latest Windows 8. The performance of this app has been seriously improved and it scans and cleans fast. Overall it is a fast and easy to use PC optimization software.You can read more to see the complete change log about this software. 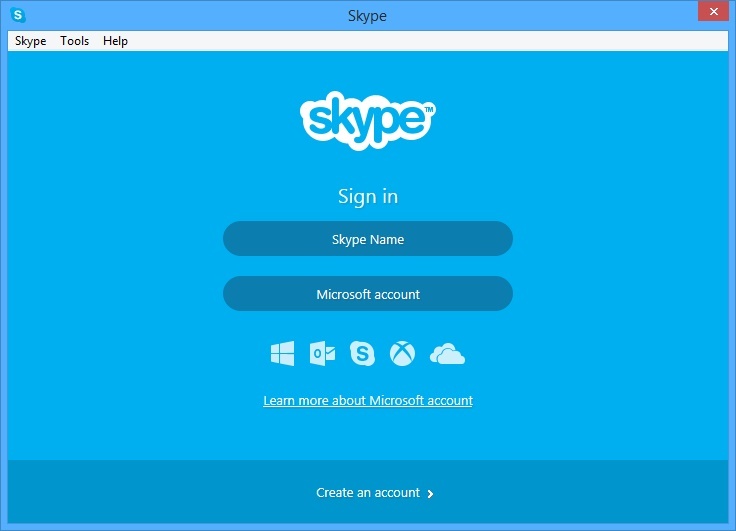 Microsoft fixes " Secure Boot isn't configured correctly"
Skype is the world's most used video chatting tool. So every update is very important and has a lot of improvements and fixes. Skype 6.10 does the same with a new start-up page which will let you access different sign-in option in a un-cluttered modern page. Also it packs a lot of security improvements over the previous version and it is recommended to update to this version as soon as possible. To see better improvements, both of the users should deploy this update. Skype gets better and better with every release. You can read more on the official blog post. Microsoft has just released the Security Intelligence Report 15 which includes details on the recent malware activity affecting the company’s products, as well as statistics and figures regarding the infection rate of its operating system. Windows XP has a huge market share with almost 30% users in the world using it. What's surprising is that the 12 year old OS is still the second popular OS in the world. Windows XP has the highest infection rate with a whopping 9.1% followed by Windows Vista with 8.8%. Windows XP is set to expire on April 8 2014. Microsoft is trying hard to move users to the newer and safer platforms such as Windows 7 or Windows 8. 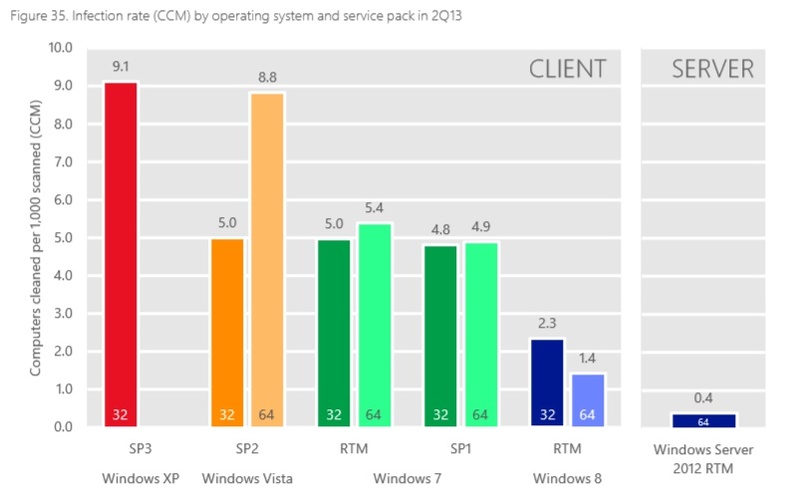 Windows 7 SP 1 has slightly lower infection rate than the RTM version. The latest Windows 8 has surprisingly very low infection rate, thanks to the multiple security features that the OS has implemented. There is no word on Windows 8.1 but again expect it to be more immune to viruses than Windows 8 because it has some new features to tackle the infections. As far as Windows XP, if you are still using then it is time to move to a better operating system such as Windows 8 or even Ubuntu ! Just move off from the soon expiring OS. The Firefox is currently showing version 24 as the latest but Firefox 25 has been released inside the servers of mozilla !Among the changes brought by Mozilla Firefox 25.0, the Find Bar is no longer shared between tabs, users will be able to migrate another browser's settings and history when away from Firefox for months, and resetting the browser will no longer clear your browsing session. You can wait till tomorrow for the update or you can download it now . avast! the most popular antivirus ! OPSWAT launched their antivirus market share report which shows the popularity of antivirus software ! avast! is the world's most used antivirus which is closely followed by MSE and Windows Defender which are practically same antiviruses. avast! which has huge share of 19.6% is mainly due to their free offering and it's loyal fans who have been using avast! for a long time. 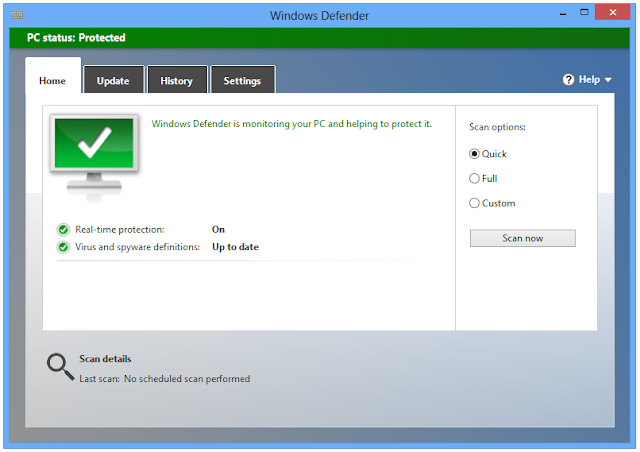 MSE and Windows defender are just basic antivirus and they have everything in common. Windows 8/8.1 users can not install MSE so they stick with Windows defender. It's worry some to see these antivirus on top because it offers very basic protection compared to other suites. Avira free antivirus,AVG Anti-Virus free edition are also among the top four. Bill Gates turns 58 ! 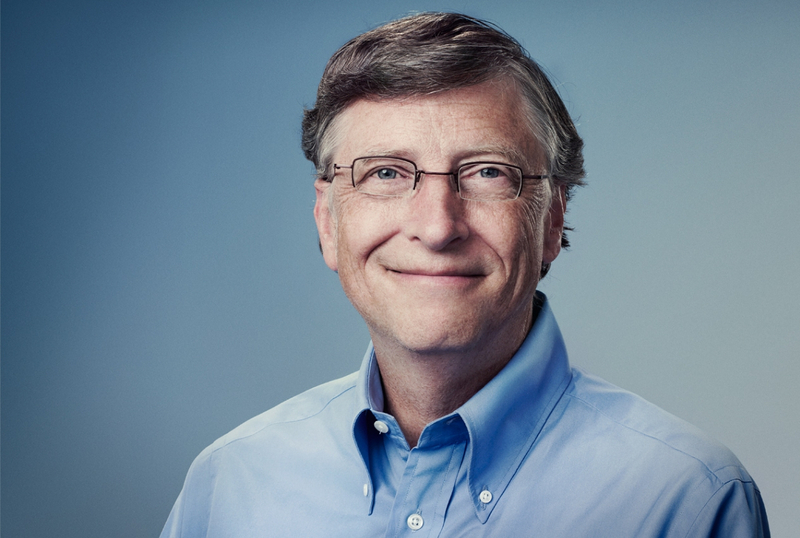 Bill Gates, the co founder of Microsoft celebrates his 58th birthday . There is no words to praise Bill Gates his created the world's most popular operating system,from which I'm posting, Windows ! Bill Gates stepped down from CEO of Microsoft on 2000 but he still holds highest share of his company. Under his leadership, Microsoft turned into a tech giant as it released many Windows version for both consumers and enterprise users. In fact everyone who use computers know what Windows is. Even Mac users are no exceptions.He is now the chairman of Microsoft. He is currently in position to elect the next CEO for Microsoft as Steve Ballmer will retire within 12 months. People are expecting him to become the CEO again make Microsoft a better company. Well these are just rumors and Mr.Gates has not commented on any of this matters. 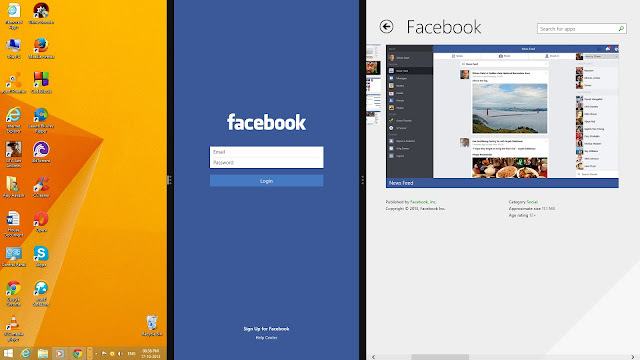 If you love the the transparent Windows 7 theme but you are using Windows 8/8.1 which comes with a flat UI . You can get the aero back using Aero glass. Beta 2 brings support to newly launched Windows 8.1. But keep in mind that this app is still beta and may contain bugs ! Microsoft has done with Windows 7 ! Windows 7 is the most popular OS in the world with a market share of about 46%. It's successor is still trying to catch up with Windows 8.1 released few days ago. 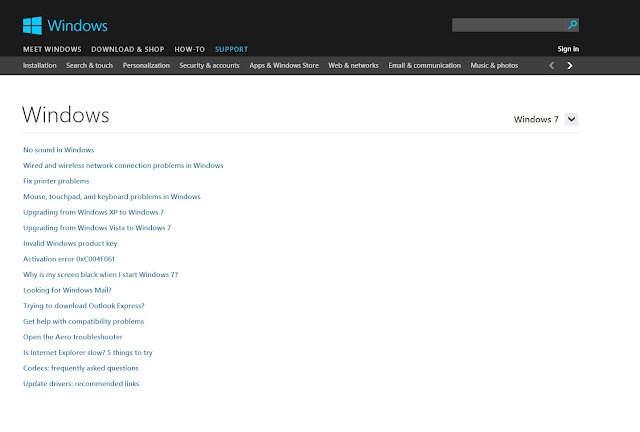 In the mean time Microsoft has managed to remove the official Windows 7 page from it's Windows website. Clicking on Windows 7 link in the bottom will take you to the support page for Windows 7 rather than showing up the Windows 7 official page with features and tips and tricks ! You can see the official page of Windows 7 from this link. This link may expire at any time ! This is a expected move from Microsoft as they do not want to get XP scenario when Windows 7 expires.It's still a long time to go but they have to get users to Windows 8.1 and the future Windows versions.Don't worry Windows 7 is still a modern choice and it's a very capable OS and most importantly it is still under main stream support of Microsoft which will end on 2015.The extended support date is set as 2020. You have got seven more years to move off from Windows 7.Microsoft sees Metro UI and Windows 8 as the future of Windows ! Learn all the programming languages from a single website ! Welovecoding.com is a website in which you can learn all computer programming languages with YouTube videos from the scratch ! I found this website via their Windows 8 app which also teaches all the languages for FREE ! I am currently studying the C++ from this website and it has helped me a lot to understand the language better. All the tutorials contain Video tutorials which makes understanding easier. If you are seriously in for some learning and coding, then this is the place to go. Start screen is the place where you start with and it has been intended to replace the start menu found in Windows 7. Windows 8 brought start screen which was touch friendly but it missed may features and Windows 8.1 has managed to bring those features to act within a year. So what has changed in the start screen is a good reason to use this as a fully fledged start menu. In this post I will let you know some tips which will increase the productivity of your start screen and also keep your apps accessible and organized . Windows 8 has completed one year ! Windows 8 was released on 26 October 2012. It has just completed one full year with us. Windows 8 brought a lot of new features and also it showed that Microsoft believes in mobile future rather than desktops,laptops. So was Windows 8 designed to meet the needs of different people within a single platform. Microsoft partially got it right but they messed up with the desktop lovers who used start menu frequently. Even the start button was removed from the OS but it was restored by Windows 8.1 back to it's own place. Windows 8.1 is up and moving. It is available in all countries and it is available as free update to Windows 8 users while it's predecessors need to buy the standalone version . Windows 8 was released this day, a year ago and since then it has been mixed up story for Windows 8. Windows 8.1 is now here to help Windows 8 and it's market share has shown some traction since it was released earlier this month. Microsoft releases Docking Station for Surface ! Microsoft planned to launch the docking station for Surface pro and Surface 2 pro in early 2014 but it has changed it's plans. The Docking Station has been released for purchase in the Microsoft store. Internet Download Manager is a good tool ! Downloading files from the internet is playing a major role in our life. Browsers have a download manager in-built which will help you to manage the downloaded files but it's a very basic feature in a browser. Browsers do not accelerate downloads and they have certain limitations which may annoy when you your downloading a large file. Internet Download Manager is just the perfect tool to help you out of the download problems. It accelerates the speed of download by downloading from the best servers automatically.You can pause and resume downloads with a very few file transfer sites being exception. You can also limit the download speed which is nice features if you want to control how much data is transferred.You can spend bit of money on this download manager which will keep your downloads organised. Overall it is such a great tool which will help you to download large files with ease. 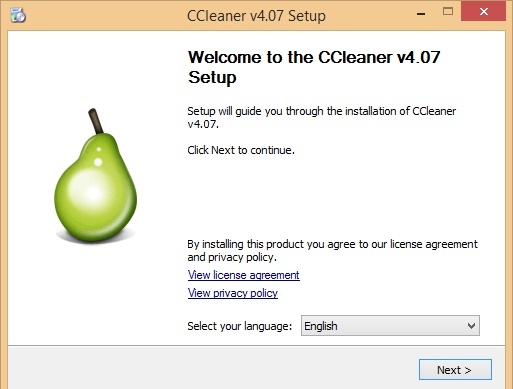 Ccleaner 4.07 includes better Windows 8.1 support and performance improvements. It is recommended to grab the update as soon as possible. - Added Windows 8.1 compatibility. - Added Internet Explorer 11 Release Preview for Windows 7 compatibility. - Added old Windows installation folder cleaning. - Improved Internet Explorer history cleaning. - Added Baidu Spark browser cleaning. - Improved debug mode notification. - Added ABBYY FineReader 11.0, Corel PaintShop Pro X6 and Nero Burning Rom 2014 cleaning. - Improved WinZip, Java, UltraEdit, Macromedia Shockwave 10 and 11, Photodex ProShow Producer and RealPlayer SP cleaning. Nokia, a company that supports and develops Windows phone has decided to jump into the tablet market by introducing a new tablet running the new Windows RT 8.1. This is not a big thing of surprise as Microsoft bought the popular mobile vendor a while ago. It's definitely a great tablet for who want to enjoy the new Windows RT 8.1 with quality of Nokia . You can read more about this device here . The post explains that a Nokia touch would be given to the tablet by adding few Nokia specific features. It has 10.1inch 1080p screen with a Corning Gorrilla glass 2 with 180 degree viewing angles. 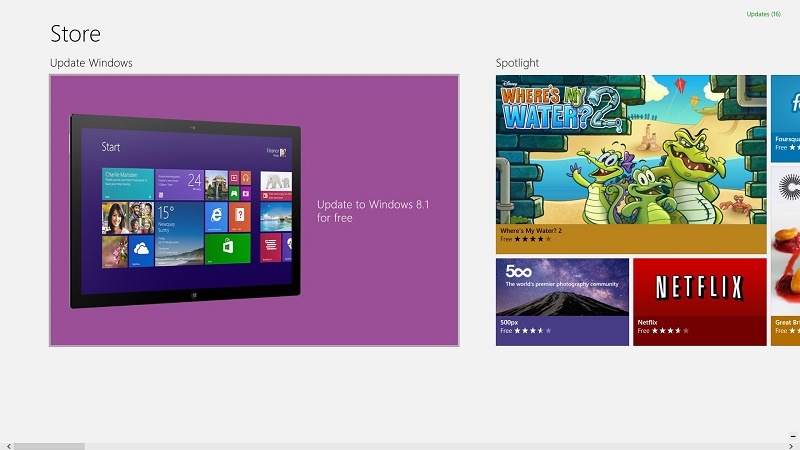 Windows 8.1 is already out to the Windows 8 users via the store for free. So Microsoft takes every chance to boast about their newest OS. This time ,it's in a form of good blog post. You can read it here. Windows 8.1 as a lot of new features which makes you move off from the older versions of Windows with ease. The start button is back with some really useful shortcuts in it's context menu. 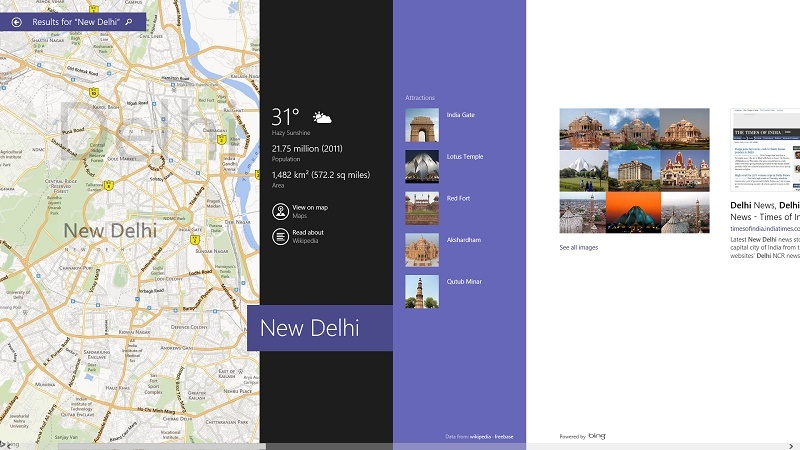 Bing Smart Search takes search to the next level by searching the whole computer as well as the internet.There are more explore about Windows 8.1. You can read my review of Windows 8.1. Windows RT 8.1 is back to Windows store ! Windows RT 8.1 was taken down from the store it was supposedly breaking few Surface tablets out there and now it's back with all the errors corrected. Now you can deploy the latest offering, Windows 8.1 from the store without any problems in the installation process. “The update to Windows RT 8.1 is once again available as a free download in the Windows Store for users with Windows RT devices. We immediately suspended availability of the update after reports that a very small number of Surface RT customers—around 1 out of every 1,000 Surface RT 8.1 installs—had experienced an issue that left the update incomplete and their devices unbootable. This was due to a rare situation where firmware updates had not completed at the time of the update to RT 8.1. In most cases, if a customer encountered this issue the result was simply an extra reboot. 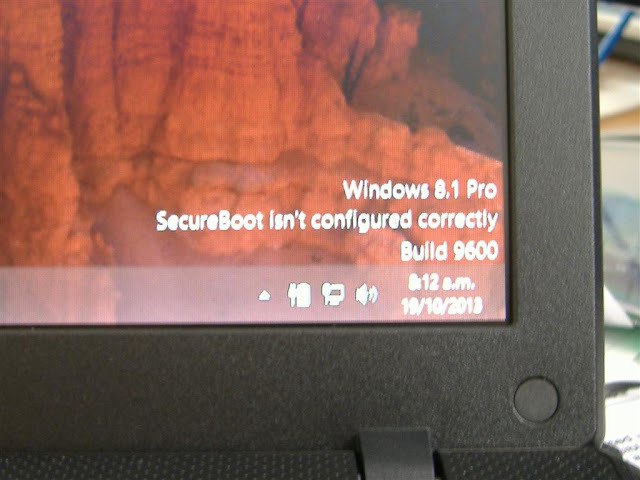 However, for a very small percentage, the boot configuration data was affected which prevented a successful boot.
. As previously announced, there is a recovery solution available for download here for Surface RT customers who experienced the installation issue. Microsoft surface 2 is up ! Microsoft released their next generation tablets yesterday by launching a new website which puts emphasis on the new Surface line up and the new features. Surface 2 is a light and versatile tablet running Windows RT 8.1 with 10 hours of battery back up while the more costlier Surface 2 pro is alternative to Laptop in the form of a tablet with Windows 8.1 pre-installed.Learn more about Surface 2 and Surface 2 pro. IE 11 is not ready for Google users ! IE 11 was released with Windows 8.1 on Friday brings in a lot of improvements over IE 10 and it's considered as one of the fastest browser. 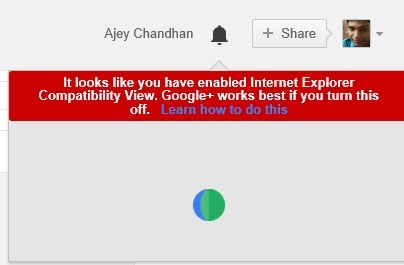 But it seems that Microsoft has not tested their latest browser with all the Google services. I previously wrote about this issue. Look at the image above, IE 11 breaks the Google search completely.Also another problem is that Google+ notifications does not show up in IE 11. To get this issue resolved you must open compatible view settings. 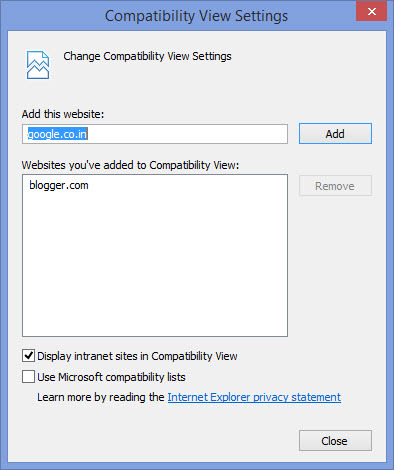 Disable Use Microsoft compatibility lists. And that's it your problem is resolved .. Google search and Google + notifications will work fine now. Microsoft will fix this issue soon though. Some users are experience some problems in downloading and installing the latest Windows 8.1 via the Store. 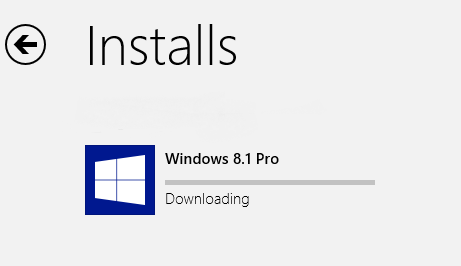 At this point Microsoft has no idea to release standalone iso's of Windows 8.1 for download. 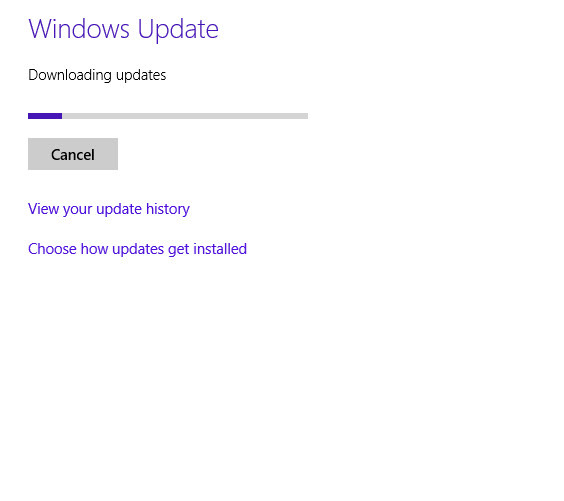 So for Windows 8 users updating via the store is the only obvious way to update your PC to Windows 8.1. If there are some errors occurring when trying to update to Windows 8.1 then you can avoid by the following step. 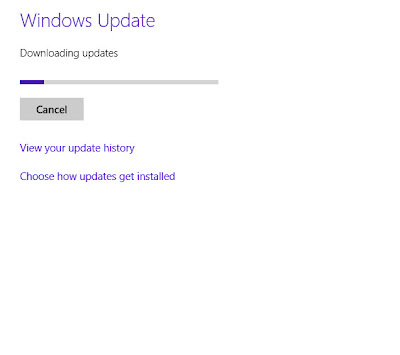 Then you should get all the updates for Windows 8 via Windows update feature and then try updating again. Voila ! No more issues or warnings . 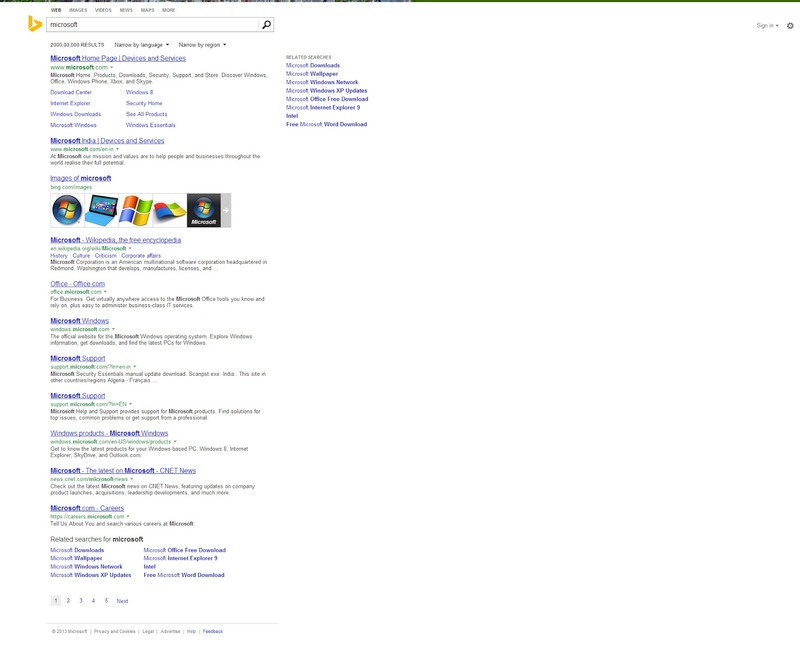 New Bing.com is available for Windows 8.1 users ! 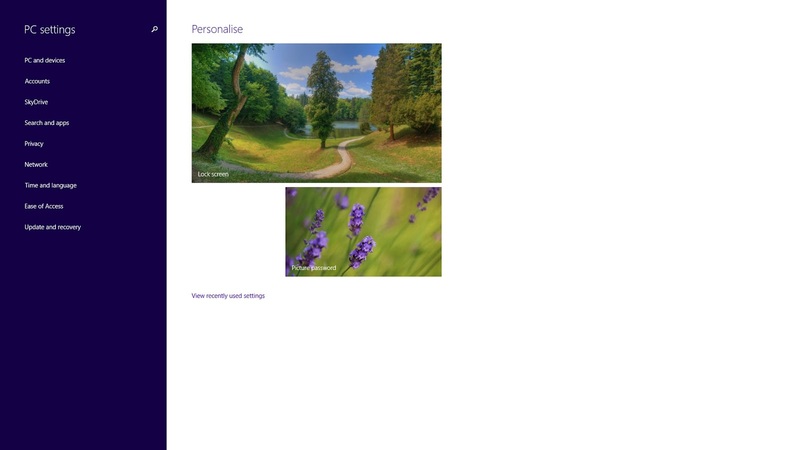 Bing has got a new face in Windows 8.1. It has got the new Bing which was announced some time ago. Windows 8.1 is the first OS to get the new Bing and other versions of Windows and other OS'es should wait for some more weeks to get the new design of Bing. Microsoft seems to thank the users who moved to Windows 8.1. 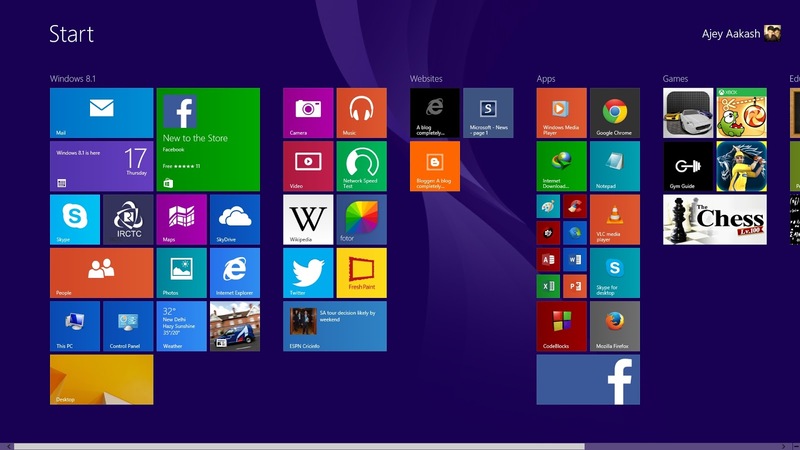 Windows 8 will get this update with other older versions of Windows such as Windows 7 and Vista . 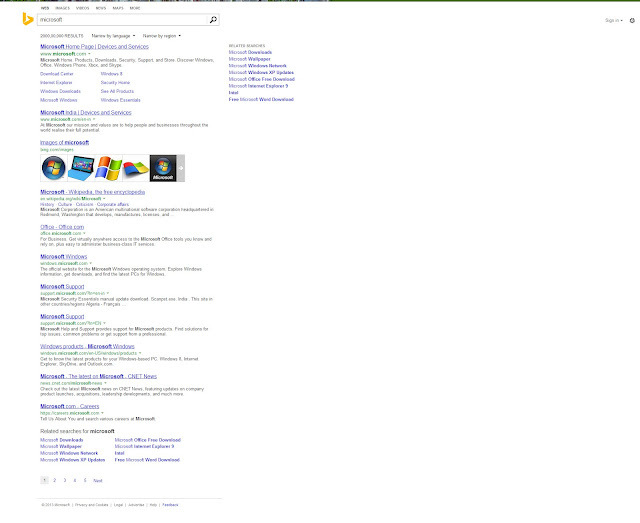 One more good thing is that the new Bing can be accessed via any browser in Windows 8.1. 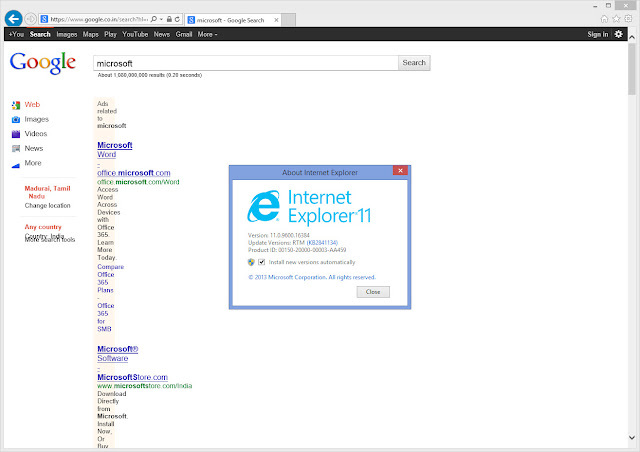 Good thing that Microsoft did not lock this down to IE 11 users ! Windows 8.1 was released yesterday with lot of new features. It is a fast and fluid OS following the much promoted Windows 8. It is designed to get desktop users back with many specific features designed for them. For instance, the return of start button. 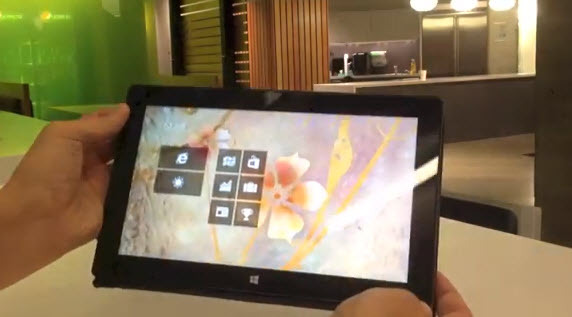 Have a look at the video to learn more about the new features of Windows 8.1. Windows 8.1 has hit the world with full force and here is the review and look through of new features.It is more than a update to Windows 8, it has some features which will make you dump every other OS in the world. 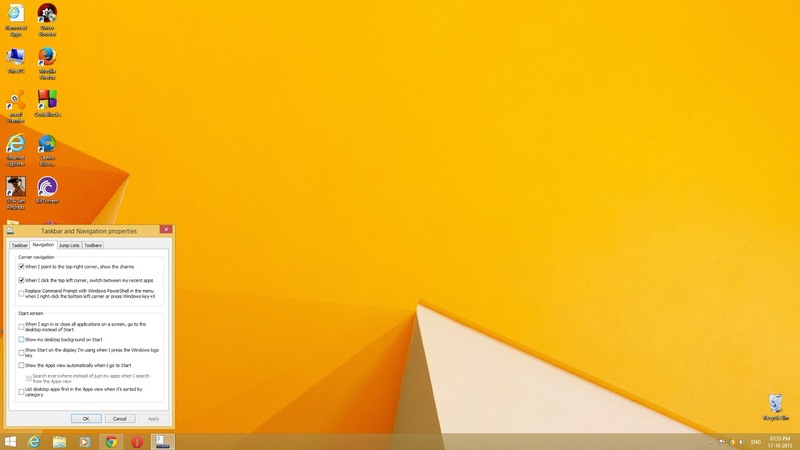 Windows 8.1 brings in a completely improved desktop which has the start button there. Windows 8 was more a controversial Windows version as it got rid of start button and menu. Windows 8.1 brings back the start button. Another useful feature for Windows 8.1 users is Boot to Desktop which will bring you to the desktop after booting rather than landing you on the colorful Start screen. The start screen is improved with new tile sizes and more customization options. You can choose from the many given colors as your start screen background or even use your desktop background as start screen background. Skype,Windows Reading List,Help+Tips,Food&Drink,Health & Fitness which are the new preinstalled apps with Windows 8.1. Start screen as finally evolved and is more powerful and better.Also Modern UI apps can now automatically update in the background without any user interaction which comes very handy for users who don't want to mess with updates.You can also snap three different apps at the same time. Search is another feature which has been revamped in this update. Search looks for everything that you want to find plus it searches the web and shows the results in a beautiful and elegant style.It even searches inside the image and text files which is seriously a good feature. 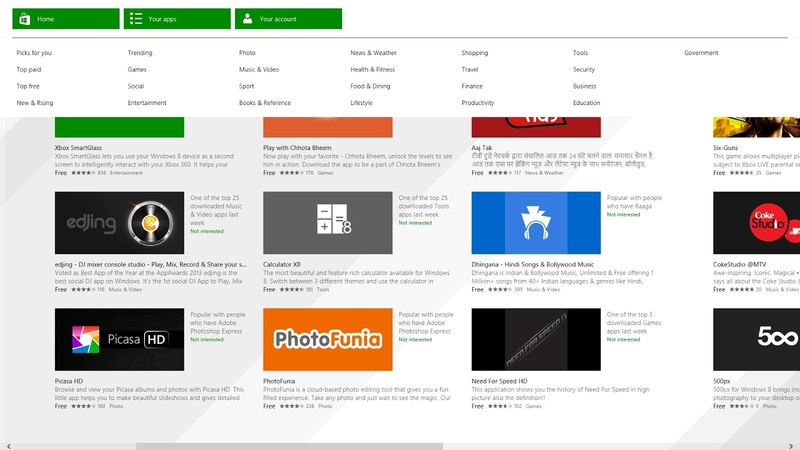 The Windows store has been revamped with a completely new UI and better design which allows users to find more apps easily. You can search right away by selecting the search bar which is now visible and it also delivers suggestions in real-time as you type. You can manage your apps easily with the new navigation options. You can switch categories or check your apps... There is a lot done to Store making it one of the finest place to find your favorite apps. The Store is the home for more than 120,000 apps which includes the newly released facebook app,twitter,hulu,Netflix and more. The in house browser has got a major update making it version 11. IE 11 manages to outperform other browsers in many tasks and finally feels smooth,fast and stable. 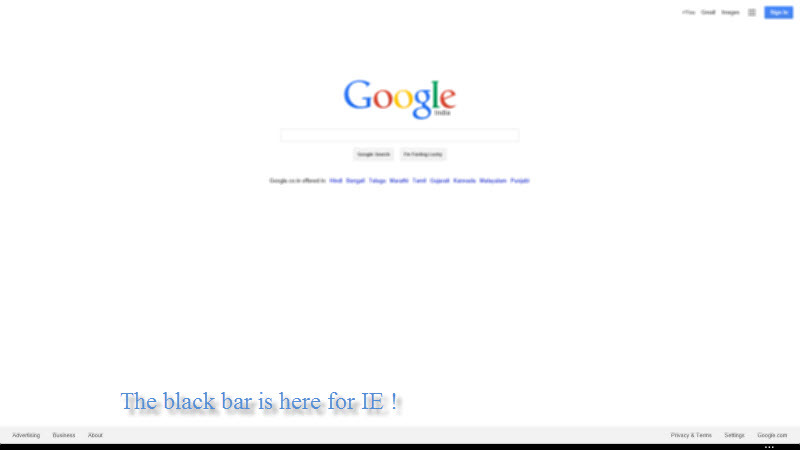 IE 11 in Modern UI gets many new features and options.The tabs are now placed at bottom attached with the address bar. Mouse users will appreciate the app bar which will open up the address bar and tabs. You can even give your address bar and tabs a home permanently in the bottom. The better Windows for better future is here ! I may sound a bit excited but I am not. Windows 8.1 gives the necessary treatment that every Windows 8 users need. One full year of advancement and improvements are delivered via the latest Windows.What's great is that Windows 8.1 is free for Windows 8 user. It puts in the best package of features in a very intuitive UI, making Windows 8.1 a great OS.It gives respect to desktop while it takes the Modern UI to next level.Touch it or use the traditional keyboard-mouse, Windows 8.1 is here for you.You must give Windows 8.1 a try and it will surely change what you think about Windows 8. You must give Windows 8.1 a try and it will surely change what you think about Windows 8. Windows 8.1 is set to be released for Windows 8 users today and Facebook app has hit the Windows Store today and it's quite a nice app to browse facebook. Windows RT users will love this app as it responds to touch very well. There are many apps which allows you to see facebook via modern UI but this official app is just the one that all the users wanted.. it's also notable that it runs Windows 8.1 but not in Windows 8. May be Microsoft are using this as a good reason to move users off Windows 8 and make them upgrade to Windows 8.1 as soon as possible. Statistics from avast! show that Windows 7 is the most used OS ! avast! 2014 brings in a lot of new features and one of the notable features is statistics which will show personal and global statistics. Under Global statistics, more than 84% of avast! users use Windows OS . In that 61% users use Windows 7 while XP is used by 27%. 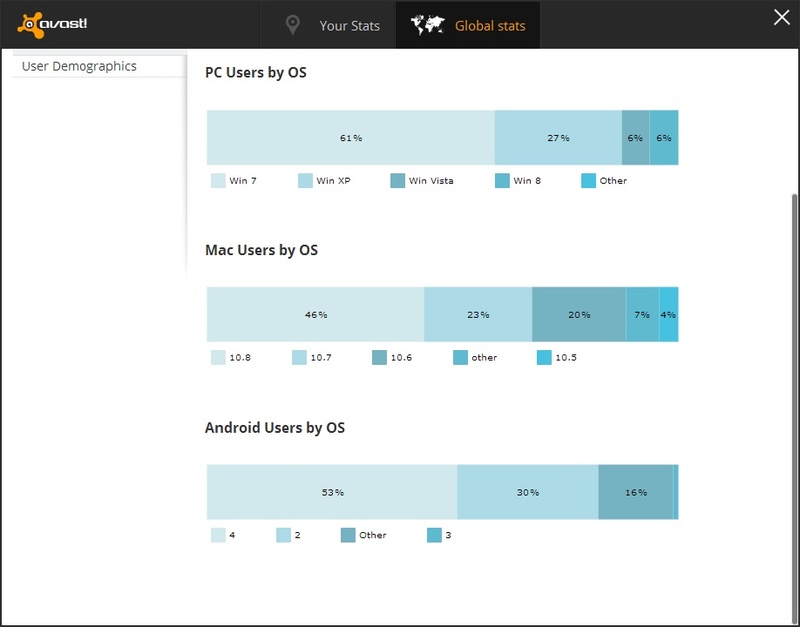 The latest Windows 8 and the cumbersome Windows vista have 6% each.15% users of avast! use android and mere 0.3% have avast! installed in their Macs. This time Microsoft have released a video ad which boasts the in-built Bing smart search.The new search does not only search offline, it takes to the next to level by searching the web and inside text and image files. avast! 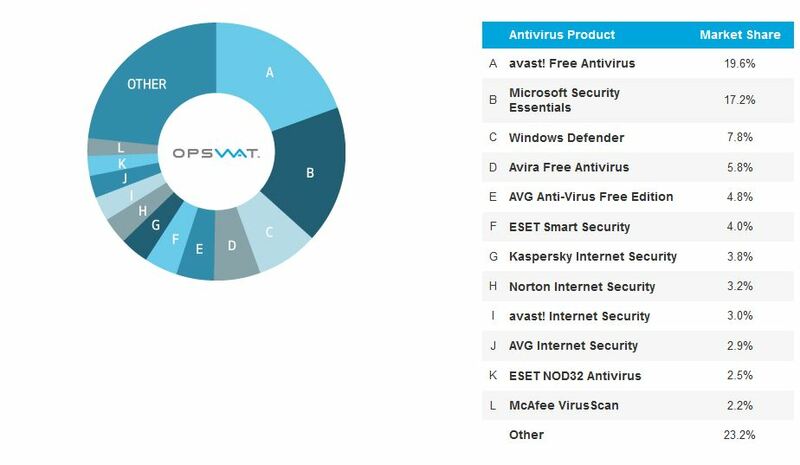 has just released their next generation line up of antivirus products. avast! 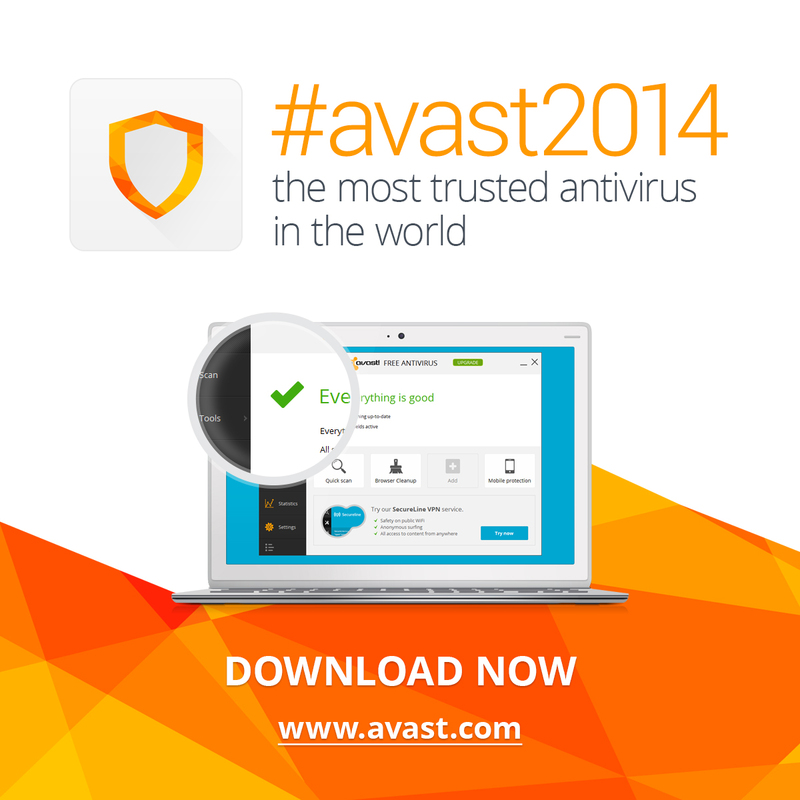 2014 marks a major change to avast! and it brings in a quite a lot of new features with a brand new UI. I'm just updating my avast! premier.So wait and watch for the pics. avast! receives 250+ micro updates each day to keep you secure all the time. You can read more at the official blog post. avast! 2014 runs in all the Windows versions, from XP to Windows 8.1.
avast! 2014 will be released in few hours ! We are introducing new #avast2014 at the press conference in Prague. Follow our social media to learn more. Coming soon! This is quite interesting. avast! is celebrating it's 25th anniversary and they are planning to roll out avast! 2014 at the press conference.the new avast! packs in a lot of improvements and brings a completely redesigned UI ! Windows 8.1 is set to be released in just three days from now and still IE11 is not compatible with Google products and services. The Google search shows up the old version of it.And Google + notifications won't show and it states that it won't work with compatibility mode in IE. Disabling it even does not help. At last there is one more service by Google which won't identify IE 11 at all.It's none other than the whatbrowser.org website which identifies the browser and it's version and displays it to the user.It's not a big problem compared to the problems above. I don't know what's wrong with Google. They are not giving the full support to IE11 which will released in three days.If they are not going support IE11 after it's release,then it might have to face a lot complaints and the forums would be filled with complaints regarding this issue. When an IE11 Preview version is installed on Windows 7, the IE11 Automatic Update Blocker Toolkit does not block automatic deployment of IE11. This ensures that users running IE11 Developer Preview or IE11 Release Preview continue to receive the latest security fixes. Additionally, the toolkit does not prevent users from manually installing IE11 from the Microsoft Download Center. There are different registry keys used to block or unblock automatic delivery of IE11, IE10 and IE9. Previous IE Blocker Toolkits for IE10 or IE9 will not block IE11 from being offered as an important update -- the IE11 Blocker Toolkit must be used to prevent IE11 from being offered via Automatic Update. Windows 8.1 includes IE11 as the default browser and Windows 7 users will get the same desktop version of IE11 from Windows 8.1. It is also notable that this toolkit is released when the next version of IE is very close. So expect IE 11 coming to Windows 7 within a few days. Windows 8.1 will be released this Friday and will be available as free update for Windows 8 users. Chrome OS has been around for years and it has never been a big hit for Google because the OS is completely depended on web. Without web,Chrome OS is nothing but Google has taken a clever and brave decision to port the OS into Windows 8 using the metro mode. With Chrome 32,users can have a complete metro chrome browser. 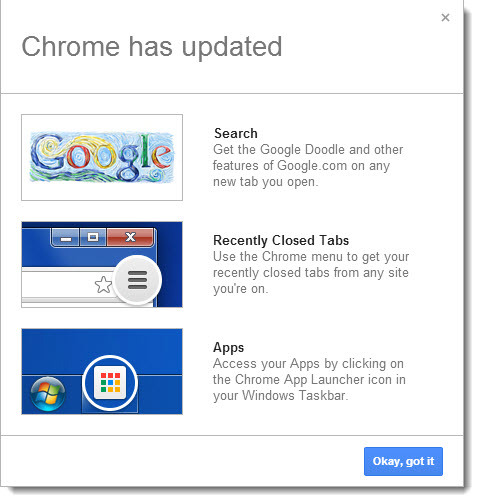 It has nearly all the features that Chrome OS has and users would be pleased to get this browser. This works like a desktop with multiple windows open and it's neat and simple.It just resembles Chrome OS completely. Read more for screen shots of chrome in Metro UI .. The website which measures the HTML 5 capability of the browsers is getting ready for a major overhaul. The new site is in beta stage which implements new HTML 5 features for browsers. The total points has been increased to 555 from 500 points in the older site. This website has been around for years and they have been increasing the support for HTML 5 without any visual overhaul till now. The time has come it seems and they have also taken a modern approach in design of Website as it's in the likes of flat 2D buttons which follows the trend set by Windows 8. You can check the new website here . Don't worry your browser won't crash except it is IE 6.. jokes aside. Even though this site has a beta label, it is not going to do anything bad to your browser. avast! are preparing their next major version of their antivirus and they have hinted that avast! 2014 is just around the corner with the release of the update of their security addon in Chrome. This update was to come with avast! 2014 but Chrome users who also have avast! installed can have look at this addon now. If you have been a keen observer on how the Google chrome's NEW new tab works then you might have noticed a small link in bottom right corner which shows the new features of Chrome 30. Recently Closed Tabs is a very useful feature which is hiding under the chrome menu. 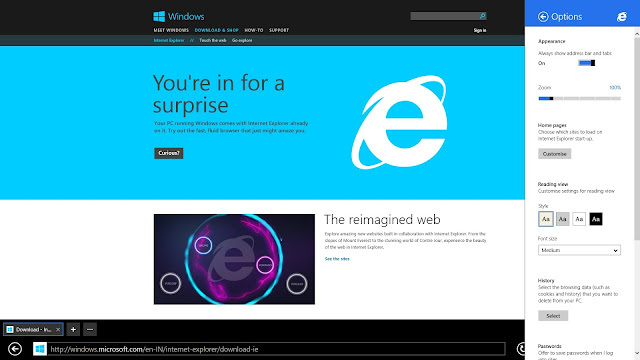 Internet explorer 11 gets new features ! As I have already told that Microsoft will add new features to Windows 8.1 before it releases on October 18th.This feature is available to users who have installed all the updates which was released on October 8.Expect more posts about the new features in Windows 8.1 !! 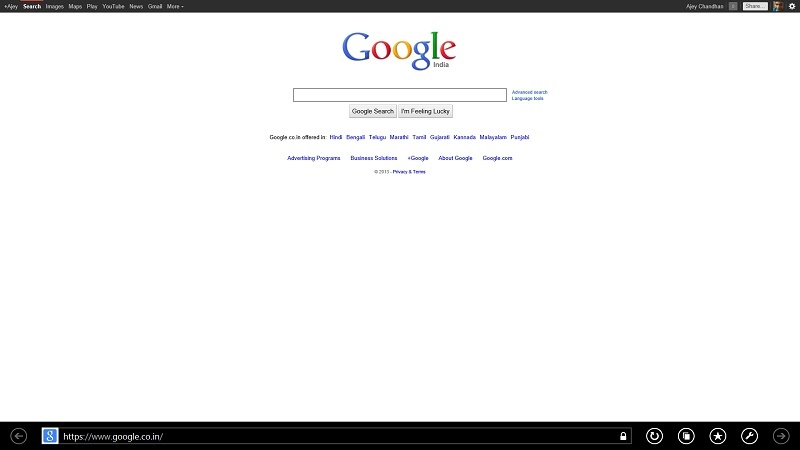 Internet explorer in modern UI has got the new black bar which when clicked brings the tabs and address bar. This will help mouse users to access the address bar and tabs with ease. It's always been a hard thing get around with mouse in the modern UI and this feature will make users feel a bit easier while using. Microsoft released a number patches to it's popular products such as Windows,Office and Internet explorer. This update is delivered to all users via the built in Windows update feature. 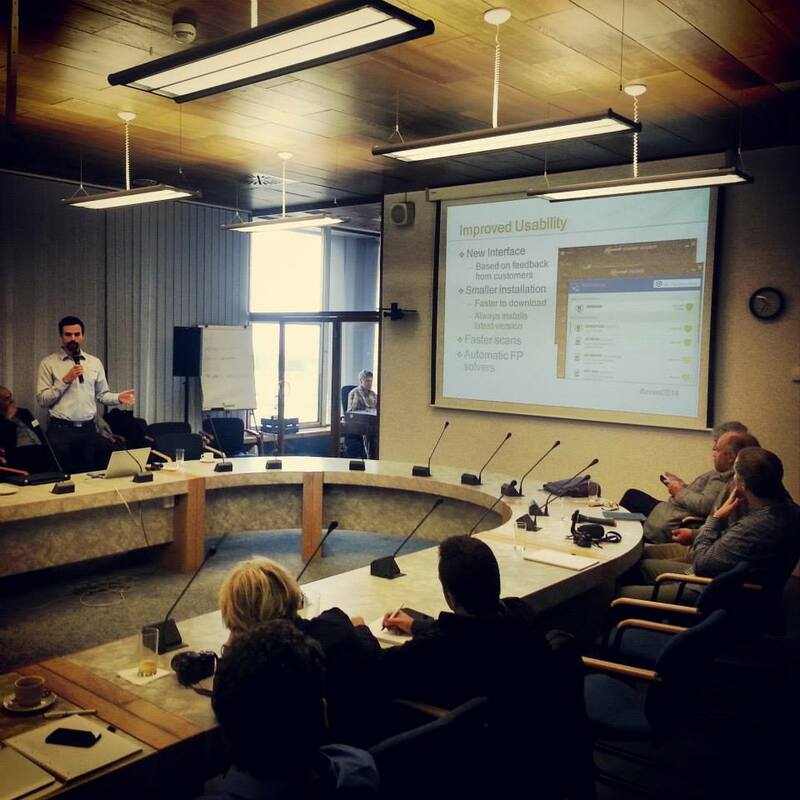 There is a total of 26 updates which will improve the performance and security of the products. It's important to deploy these update as one of the update fixes the exploit problem in IE and Windows has got a lot of issues fixed.And all these updates are delivered to all the Windows users from XP to the latest Windows 8.1. - Video and overlay theme packs. - Accelerometer and swipe sensitive parallax video and camera backgrounds. - Customizable with your own video backgrounds and overlays. But still .. Tiles are not yet customizable. You can expect this feature to come soon to this app !